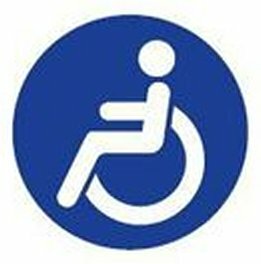 How Many Step Free Stations Are There? When the Greenford Inclinator (sorry, Incline lift) opened on the Underground network last week, the official line from the press release was that there are now 67 Underground stations now have step free access. As accessiblity is something we’re quite keen on getting right in Station Master, we thought we’d have a quick count and check, because it felt like it might be slightly more. Here’s what we found when looking at the official TfL Step Free Tube Map. So that’s two more than the official TfL count of 67 – why the difference? Well, that could be because they might Hammersmith as being one station, where as we would argue that it’s two separate stations. Or consider that Waterloo is only fully step-free accessible to the Jubilee Line … hang on, there’s a strange anomalie in that due to the Jubilee Line lifts you can get to the southbound platforms step free at Waterloo Bakerloo, but all the would let you do is make a cross-platform interchange at Lambeth North, and head north up the Bakerloo and you could go to Baker Street and change to the northbound Jubilee Line, but the earliest a wheelchair users could get off the Bakerloo Line would be at Willesden Junction. Amersham, Barkingside, Borough, Cannon Street, Debden, Elephant & Castle, Euston Square, Liverpool Street, Rickmansworth, Ruislip, South Woodford, Theydon Bois, Waterloo (Bakerloo) West Brompton. That’s 14 more stations, except Waterloo is a repeat of the Jubilee Line, so it adds 13 more to the total – meaning that there are 82 stations out of 270 on the Underground that have step free access, that’s 30.3%, just under a third. Want to make things a bit more tricky to get your head around? Of course you do… The Tube Map should no longer really be called that as the real count of numbers of stations on the map is now at 408, a third of which are no longer Underground services, it has Overground, DLR and TfL Rail too. The DLR is of course totally step free from it’s construction but how is the Overground holding up? Anerley, Acton Central, Brockley, Bush Hill Park, Caledonian Road and Barnsbury, Camden Road, Canonbury, Cheshunt, Chingford, Clapham Junction, Carpenders Park, Crystal Palace, Dalston Junction, Denmark HIll, Edmonton Green, Euston, Emerson Park, Enfield Town, Forest Hill, Gospel Oak, Hampstead Heath, Highams Park, Highbury and Islington, Honor Oak Park, Harringay Green Lanes, Hackney Wick, Homerton, Hackney Central, Haggerston, Hoxton, Imperial Wharf, New Cross Gate, New Cross, Romford, Queens Road Peckham, Shepherds Bush, Shoreditch High Street, South Acton, Sydenham, Upper Holloway, Watford Jcn, Walthamstow Queens Road, Walthamstow Central, West Croydon. Kew, Richmond, Olympia, West Brompton are also step free, but are shared with Underground stations, so have already been counted. 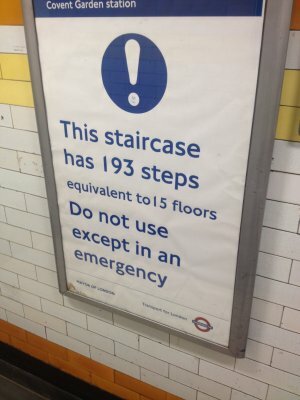 There are 69 (not 67) step-free station on the Underground. 82 if you include the the ones which have it in one direction only. Plus the Overground brings 51 more to that total, Tfl Rail adds three more, and of course don’t forget the 45 stations on the DLR, that brings our grand total up to … 99 stations out of the 408 on the map (which is 24%, call it a quarter) that have step-free access. 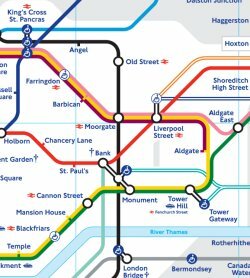 With the new kink in the Central line on the May 2015 TfL Map causing the most raised eyebrows, we couldn’t find anywhere online where Crossrail was also shown to represent why they’ve done it to enable them to fit it in in a few years time. So here in (what we think will be the correct) Crossrail purple is how it will fit into the map, helped by the new Central line kink – it means it’s a ‘standard’ 45 degree angle in-between Bond Street and Paddington. We’ve also continued to study the new May 2015 TfL Map (formerly the Tube Map) and noticed a couple of other small – but interesting things. The horrid triangle of blobs that used to be the connector blobs at West Ham has been replaced – still with three blobs – but this time in a straight line, no longer forming a triangular shape, and we think it looks better. Up above that though, look how the Jubilee Line now bends to the right (it used to be straight – in fact it used to bend to the left many years ago) but to incorporate the new MTR TfL Rail / Crossrail line it now bends to the right. The branch to Stratford International is now no longer a straight line. But back to the kink .. the Central line link, and how this has affected the central area. You can see here in the comparison that the depth of the Circle line has now increased to allow the kink and future Crossrail to be added in and look what it’s done to the District line at the point of the Aldgate triangle – it used to elegantly curve away at the junction before, now it hugs the Circle line round the bend for a bit, before peeling away to go up to Aldgate East, and we think this looks messier. 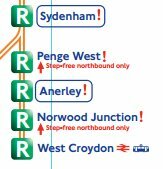 So after much speculation and build up, the new May 2015 Tube map is upon us with some rail services added as part of the Overground brand, plus ‘TfL Rail’ too. Our immediate thought thought is that it’s not really a Tube map any more, is it? That’s what people call it (and some people may still even refer to it as the Pocket Map or the Journey Planner). No – what it is now, more than ever, is clearly the ‘TfL Map‘ of services. 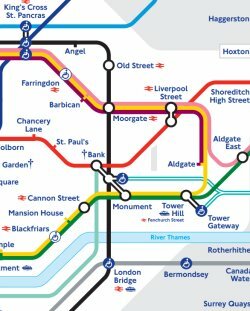 Also, if you take into account that that only Underground services can be considered proper ‘Tube’, it’s worth noting that on the new map there are 270 Tube stations, but with the DLR and Overground combined (now 112 Overground stations, and 45 DLR stations) there are 157 stations on the new ‘Tube map’ that aren’t purely Underground stations. Aside from all the obvious and immediate observations (the new connector blobs, the sprawl of Orange, the fact that there’s now TWO Bethnal Green’s, and of course the new kink in the Central Line, in preparation for Crossrail) there are many more subtle things too. 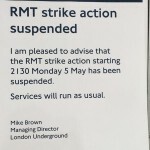 One of the things about the Tube map (and Overground services) is that it’s always represented ‘turn up and go’ services – you don’t need timetables because trains are frequent enough, yet that isn’t the case any more. Not all Overground services out of Liverpool Street will stop at Bethnal Green, Cambridge Heath and London fields. If you want to go to one of those stations, you have to get the Cheshunt service – the Chingford and Enfield services don’t stop there, which is a bit of an instant fail of the map. Then there’s the Emerson Park branch – one stop in-between Romford and Upminster, now also coloured Overground orange. Except it has a limited service with no trains after 8pm on a weekday and none at all on a Sunday. That sounds like a limited service to me – a bit like the District Line to Olympia which has a pecked line, but here it’s a standard cased Orange Overground line. Ok, so sure – the Waterloo & City Line doesn’t run on Sundays but that gets a mention in the side bar, so why doesn’t the Emerson Park branch not also get a mention? It also has the distinction of being the least served part of the map (previously was the Woodford to Hainault part of the Central Line where trains are once every 20 minutes), with just two trains per hour – one every 30 minutes. There’s still then the headache of why Seven Sisters to South Tottenham does NOT have a connection blob, even though it’s just as close as the two Walthamstows and Wanstead Park to Forest Gate which are connected on the map. Intriguingly the London Rail map puts South Tottenham in the right geographical place – to the south of Seven Sisters, but the new TfL Map gets this wrong, putting it to the north. And then there’s how lines overlap – a huge bugbear for some people. e.g. consistency is important in that all sub-surface Tube lines on the map do indeed go on top of Tube lines on the map but on the new TfL Map there’s no logic to it. At Stratford International, the DLR goes underneath the Central Line but then it then goes over the TfL Rail line at Stratford – when in real life it goes below it. Looking around the map, it seems that where possible, the map designers have taken the decision to deliberately put a ‘cased’ line below a solid coloured line – whether it does that in real life or not. 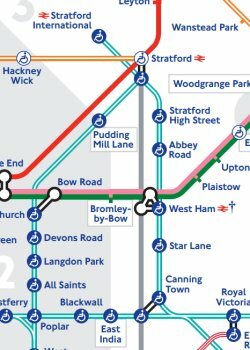 It’s not as if a cased Overground line can’t go on top of another line – it has to in places where it crosses itself such as immediately south of Hackney Downs, so why not get it correct everywhere else? And don’t forget TfL Rail – the line which is now the start of Crossrail as TfL take over services between Shenfield and Liverpool Street. 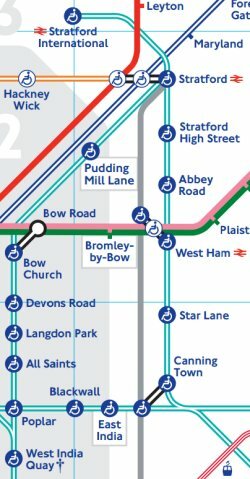 It means there’s now another ‘Zone 9’ station to the map (joining Amersham and Chesham), as well as another ‘Special Fares Apply’, zone – joining Watford Junction – it’s also another twelve stations added to the map that aren’t Tube stations – so really, we can’t call it a Tube Map any more, it really is the TfL Map. The Overground is arguably TfL’s proudest piece of branding, because despite frequent attempts of those long freight trains that break down on the North London Line, the Overground is consistently one of the best in terms of the percentage stats that trains turn up on time and are reliable. Plus the trains are new, shiny orange, and spacious – even more so now that fifth carriages are being added, it’s a great railway. But even though the old/existing stock will run on the ‘new’ lines that are Overground until TfL replace them, our first thought is that all this will actually do is expand the brand too much and reliability figures will fall – the larger something is, the harder it becomes to manage. 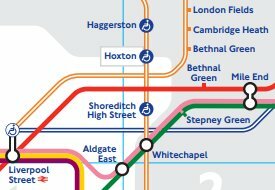 If TfL get to take over any more lines in the future and have a desire to brand them as ‘Overground’ as well, there will need to be some distinction between the different Overground lines – having them named, or numbered – something – that helps differentiate between the sprawl of the Overground. It’s also worth a chuckle over the TfL website that launched an interactive SVG version of the map on its website first – before the PDF was put online, and it’s got all sorts of problems including overlapping text, and a missing cablecar and Olympia branch. So instead have a look at this brilliant version which uses the TfL data, but actually draws it correctly! Leytonstone HIgh Road has moved! It used to be geographically correct to the right side of the Central Line, but in order to accomodate the connector blob between Wanstead Park and Forest Gate, it’s now been moved to the left (west) side of the Central line which is now geographically incorrect. Someone’s also asked us if the ‘connection lines’ between the two blobs at Clapham Junction are correct. By TfL’s map design standards we say – yes, but all it does it highlight the inconsistencies on other parts of the map. e.g. Look at Westminster and Hammersmith – there’s a tiny connection line between the two blobs there, but at Earl’s Court there is not – why the inconsistency? We hear more regularly these days, horrifying tales of people getting down onto the tracks to retrieve personal items that have been dropped onto the tracks themselves. Often, these people escape with their lives by just seconds. According to TfL the number of reported incidents of items being dropped onto the track is increasing (by 62 percent from 2009/2010 to 2012/2013) so in the run up to the festive season, TfL are introducing a new tool to help staff to safely retrieve small, high-value items such as mobile phones and handbags from the track. 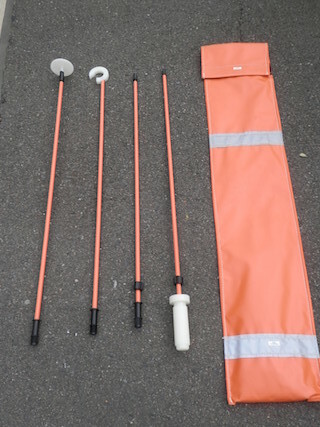 The tool is called the “Track Retrieval Device” and has been designed, built and tested by London Underground staff themselves. The TRD is designed to be used without turning off the power supply to the tracks and without staff having to step down onto the track. Last year dropped items on the track were responsible for 195,000 hours of delay. Nigel Holness, London Underground Operations Director Jubilee, Northern and Piccadilly Lines said: “We’re committed to running the safest and most reliable service possible, particularly at this busy time of year. When we examined the type of incidents which cause delays, it was clear that customers dropping items onto tracks has a disruptive impact on services. We recognise that possessions are very valuable to people so we encourage everyone to take care of them when they’re on the platform. If you drop anything of value on the track, please speak to a member of staff and we will do our best to retrieve it for you. We hope that our staff, using the Track Retrieval Device, will deter customers from attempting to pick up items themselves. Those of you with Pay as you go Oyster cards might want to scrutinise your online account or weekly statements a little bit more carefully after we came across a glitch in the system that resulted in us being overcharged, even though we had touched-in and touched-out correctly on the bus and Tube all day on Sunday. This Station Master was more than a little perplexed when a £9.15 daily total popped up for what should have been a £7.70 fare cap for the day – the last journey of the day on the bus being charged at 10 pence. TfL don’t have a £9.15 price cap! Neither we, nor TfL customer service, could explain it, but we realised the difference between £9.15 and £7.70 is £1.45 – the cost of a bus journey, which TfL refunded immediately. If you don’t check your Oyster online account or weekly statements regularly, now might be the time to have a quick check, just to be sure. With Contactless payments being piloted right now too, we hope this was a one off glitch! 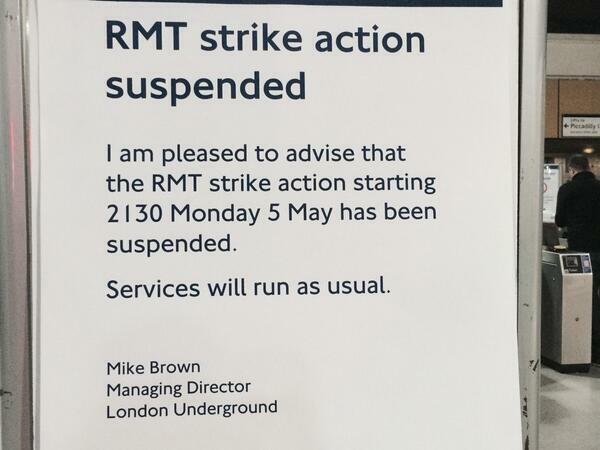 The Unions and TfL sat down again for talks this morning over the current modernisation plans, and by lunchtime they came to an agreement and the RMT have suspended their planned strike. The TfL Press Release is here. An intriguing audio announcement at Covent Garden came over the PA system when we were there the other day. Far from being told to mind the gap, report anything suspicious, always touch out, or any of the other mantra that’s continually spouted at you, we were told that ‘Entering the lifts from the wrong side is contravening a by-law’, and from the sounds of it could get you in trouble. Covent Garden is of course hugely busy, and I suspect there’s a plan being mooted within TfL towers to make it exit only – a bit like Camden Town already is at the weekends. And indeed, the fastest way out of the station is to walk up the ‘entrance’ staircase, against the flow of people, and nip into the empty lift, moments before the queues of people who have been waiting on the proper side enter it and give you filthy looks for jumping the queue. The other alternative of course is to walk up the 193 steps, which (as another of their famed audio announcements informs you) is the equivalent to a fifteen storey building. And their advice isn’t to be taken lightly – we once saw a man halfway up sat down, looking very red, out of breath, and a member of station staff and paramedic coming the other way down the stairs to assist him. So if 193 steps is a fifteen storey building, that’s … (digs out calculator) 12.8 steps per storey. Right? 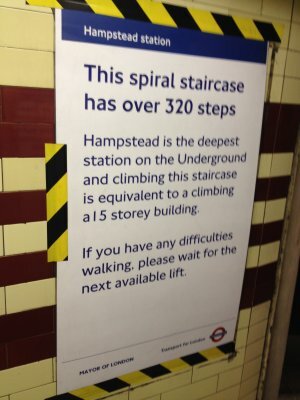 So we were rather surprised the other day when visiting Hampstead station – the deepest on the whole of the network, with the highest number of steps on its emergency staircase, in this case there are 320 of them (There are exactly 320 of them – 298 on the spiral, 22 flat – so why the sign says ‘over 320’ is another thing that is wrong), which by TfL’s maths at 12.8 steps per storey must mean it’s the equivalent to a twenty-five storey building .. right? RIGHT! It seems that ’15 storeys’ is the generic sign. Either that or TfL have a magic calculator that always gives the number ’15’ no matter what you type into it? We’re delighted to be able to announce today that we’ve won an award! 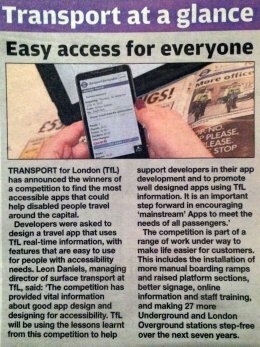 We’re one of four winners of the TfL Accessibility App competition which we entered back in August, and we won one of the prizes! Station Master won the the ‘Best App for Accessibility/Step Free Information’ category, which after many many months of work that has gone into this (mainly involving private data surveys – e.g physically visiting all the stations ourself and counting the steps) feels great to an award and some recognition for this. We should give a hat-tip to the other winners too which include Nearest Bus, Tube Tracker and the Colourblind Tubemap which are all worthy winners in their own categories. Many thanks to everyone that has bought the App so far, left us reviews (good and bad!) and in particular those that have sent us feedback with their thought, suggestions and other such good stuff.